The process is very transparent from start to finish. We would recommend Gentry Home Builders to anyone. "Thank you VERY much for your help. The railing looks great. A big thank-you also goes to Rob! His attention to detail is fantastic!! Vince and his team are fantastic! They pay attention to customer needs, do quality work and make sure that their customer's always happy with the job. 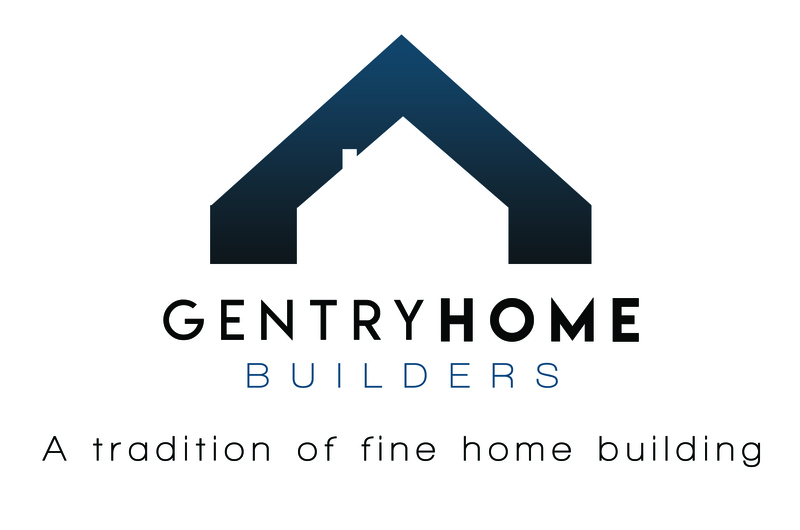 I trust Gentry Home Builders like Canadians trust Mike Holmes. We would like to thank Vince, Adam and the whole Gentry Homes team for the incredible work they did building our dream retirement home! From day one we experienced their professionalism and attention to detail, the deadlines were met and the whole process was transparent and uneventful. All the trades were very pleasant to work with, they paid attention to our wishes and consulted us for all decisions taken during the process, working through the issues with the engineers resulting on a beautiful home, especially the back patio, which we will enjoy for many years to come! Thanks, it was a real pleasure working with your team. "Our home was replaced by Gentry Home Builders after our original house was destroyed by fire. Our insurance provider and adjuster recommended a complete rebuild, therefore old foundation and remaining structure were totally demolished so the new home could be constructed on the original site. The framing crew was excellent and efficient getting home to lock-up. Subcontractors involved were also effective and provided first-rate quality work. Neil Smith was able to respond timely whenever an issue arose and these were resolved to our satisfaction. Gentry Home Builders was awarded the bid to build our home because of Neil's efforts to gather all details of what we had in our home that burned and his concern that we should get equivalent value in fixtures, cabinetry, and other items within budget. We are thankful and do recommend Gentry Home Builders as a new home builder." "When we started our journey of building our dream home we weren't sure how to begin. We spoke with 7 different builders and even considered being our own general contractors. When we met and talked with Gentry Home Builders we INSTANTLY knew that there was something different about the way they did business. WE KNEW WE COULD TRUST THEM! We signed our contract with them and were promised to keep our home at the top of the priorities, as we had decided to live on-site through the summer in our RV, which as anyone can understand is difficult, especially with 3 little girls underfoot. We broke ground on May 10th and officially took possession 6 months later on November 9th. The Gentry Home Builders Team was there every step of the process ensuring that we were continually happy with every decision made! They were flexible enough to allow us to supply some of our own materials, and hired wonderful trades to perform all of the work. Building with Gentry Home Builders was like being a part of a family, they continually were looking out for OUR BEST INTERESTS! We love our new home and all the little details that the Gentry Home Builders Team helped us finalize to make it a dream come true. And as our little 3-year-old said, "We are finally home!" The communication with our builder and all the trades was exceptional. We were involved in every process of the build and had 100% input. Timelines and deadlines were bang-on. We knew what was happening and when to expect it. The cleanliness of the workplace and surrounding area, our new neighbours even commented on the neatness of the crew. We would absolutely recommend Gentry Home Builders for any project!" "Right from day one, the whole Gentry Home Builders team were easy to work with. Their leadership in the detailed renovation of our project has fostered a great working relationship between the MUSTARD SEED and Gentry Home Builders. Frequent site visits and consultations with TMS Facilities Manager ensured that our project was completed on schedule. Additionally, we are looking at new projects that we can work together with Gentry Home Builders on. We are very pleased with the outcome of our renovation, and everything turned out better than we could imagine. The Project Management Team at Gentry Home Builders is very knowledgeable, professional and courteous." "Gentry Home Builders helped me immensely by providing courteous, professional and expedient service. The whole experience from start to completion was dealt with in a punctual and straight forward manner. The tradespeople were skilled, tidy and very accommodating. I would highly recommend them. Great communication of work done at all times. Thank-you to Vince for helping me out from a disparaging scenario! I so appreciated your support. The site foreman was an absolute "treat" to work with. Your trades did an outstanding job. Thank you so much!" "My wife and I used Gentry Home Builders in the spring/summer of 2011 to construct the addition on our home. Right from the estimating stage, Vince was always there to answer our questions, he kept us informed on each stage of the process, and asked lots of his own questions to ensure everything was going to be done right. He was very professional and paid special attention to the details of the project. When it came to construction, Gentry Home Builders' employees were always there to answer our many questions and also to inform us of any possible changes or unexpected things that came up along the way. All trades were always on time and were very polite, professional and accommodating to the changing needs of the project. We are very happy with the way the customer's needs were put first, the way the project was handled right from the beginning, and are extremely impressed with the final result. We would recommend Gentry Home Builders to anyone." "Gentry Home Builders built our 1,850 square foot house and did a great job. His on site supervisors were very easy to work with and accommodating to our change requests. Vinny and crew were very good with ideas and helpful. All subtrades performed their work well and were held to high standards. Our home turned out very beautiful. A big thank you to Vinny and his staff. Note: The stonework is incredible."